Amazon Deal of the Day: Up to 60% off organic beauty products by Sky Organics! Today only get Up to 60% off organic beauty products by Sky Organics!! Included in this special sale are oeganic castor and almond oil. 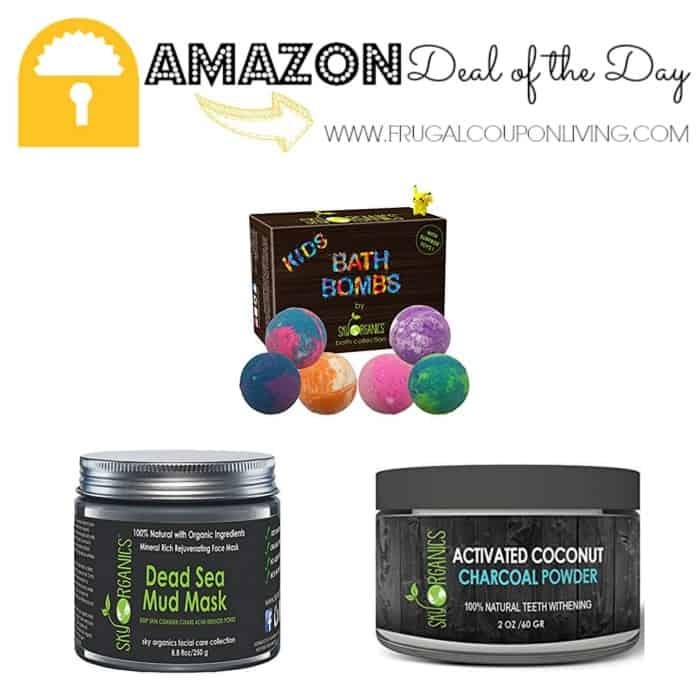 Also available is this Kids bath bombs and the popular Teeth Whitening Activated Coconut Charcoal… for just $12.95. I am sure you have seen this activated charcoal whiteners pop up on your Instagram feed. This one has incredible reviews.